Seriously, though, we know how important it is to get the job done well, the first time. Otherwise, you’ll just have to call us again in a year or two when you find water damage. Or mold. Or a swarm of bats that may or may not coalesce into Dracula. And that, we can agree, would be a bummer. So what exactly does proper chimney cap installation consist of? Well, let’s talk about that. ● … and other not-so-pleasant effects. If you want to avoid that, it’s important to get the right help. So what’s the real difference between a licensed and insured chimney professional and Bob from the office? Simply this: We know exactly what we’re doing, no instructions needed. The chimney represents a hole in your roof, and a chimney cap will effectively seal it up, but only if you choose the right one. We’ll help you there so that you get the peace of mind you deserve without lifting a finger. It’s time to tell that chimney who’s boss, un-invite the squirrels from the area, and keep mold and pests away! You need pro help from our team at Hopewell Roofing & Restoration. 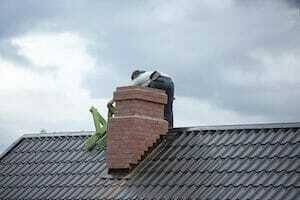 We’ll come out and take a look, then advise you on the right course of action for your chimney. The proactive approach is to cap before you suffer the consequences and have to pay way more to get a fix. 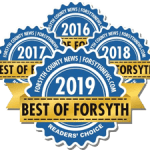 Would you like to learn more about our chimney cap installation services, other roofing specialties or Super Bowl recipes? We’d love to tell you more. Give us a call at 678.771.5372 or contact us on our website today to ask questions or make an appointment. We’re here for you and your chimney, so don’t wait to get in touch.